Gary Piscatelli, Senior Vice President and CFO of Hunter Douglas North America, tackles his job using a holistic approach, which is exactly how the company, the worldwide market leader in window coverings, established its prominence. The Netherlands-based company —with its North American headquarters in Pearl River, NY— stands out from competitors with its commitment to creating innovative product designs that fuse form with function to meet the evolving needs of the marketplace. Piscatelli oversees the organization’s finance, technology, and human resources groups. Among other projects, he is helping Hunter Douglas to improve its data-gathering, reporting, and analytical systems in a way that enhances the company’s business operations. That means establishing more standardized information and systems without detracting from the magic that has driven so much success. Piscatelli joined the company a year and a half ago, following stints with Gillette Co., Nestle, and Timex Group, where he was involved in a comprehensive array of operations. Today, Piscatelli draws deeply on his previous experiences. 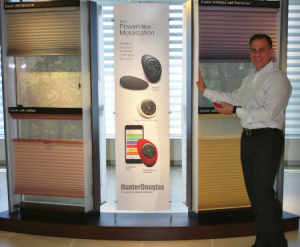 Recently, Hunter Douglas converted the fabrication segment of its business from one that relied on a combination of independent and company-owned services, to one that is now entirely owned and operated by the company, bringing complete control of the manufacturing, assembling, and wholesale distribution aspects of the business under one umbrella. The increased vertical integration has helped to drive a change in the way the company looks at its data. He sees the strategy to build a robust data architecture as both a logical and emotional journey. Building a comprehensive interconnected data set that links all the dimensions of a business at a level that drives understanding and decision-making without being overly complex is not simple. Getting it done with companywide consensus can be even more challenging. As challenging a task as this may be, capturing the right data is a critical enabler of strong business partnering. Piscatelli is well qualified to address and integrate these myriad concepts — his background includes responsibility for purchasing, financing, information technology, and other functions. He also understands the human angle. At Gillette, prior to leading finance for the Personal Care Business, he served as Director of Corporate Finance, where he led a global SAP implementation that included revamping data architecture, accounting, reporting, and analytics. Afterward, he was Senior Vice President and CFO at Timex Group, where, among other things, he drove changes in reporting and analytics that he believed helped enable the transformation of the financial function from accountants to involved business partners. A lot of the information may be on a sales invoice, but it’s useless unless a data system can capture it and present it in a meaningful manner. “The key is to structure a system that can capture data from disparate sources and integrate it all in a way that makes sense,” says Piscatelli. As part of the effort, Piscatelli is talking to employees at all levels and functions across the company, and will continue to, asking key questions that will better enable systems that will aid Hunter Douglas to deliver more value. That’s where the human element comes into view. In addition to updating its internal data-gathering and reporting models, the company has recently had a changing of the guard in the C-suite. At the beginning of July, longtime Hunter Douglas North America CEO, Marvin B. Hopkins, retired. Ron Kass was named as the new President and CEO. Kass joined the company in 2005, previously serving as President of both the Hunter Douglas Design Products Group and the Independent Fabricator Group of companies, and as Executive Vice President of Marketing, where he oversaw brand marketing, advertising, and communications for Hunter Douglas. 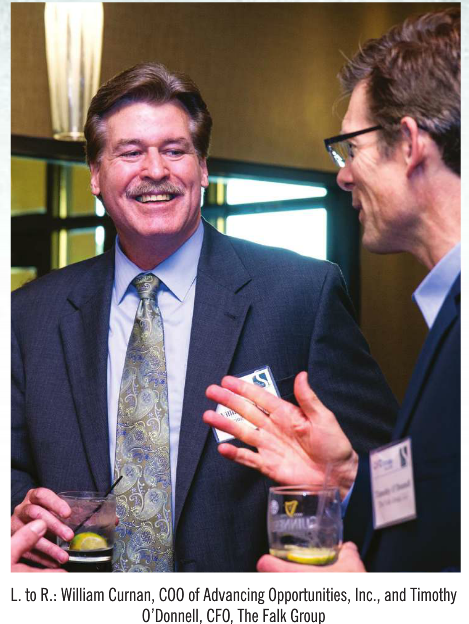 Mr. Barry noted that IRS Form 990 is a valuable reputational-risk mitigation tool. It allows tax-exempt organizations to provide would-be donors not only with information about their finances, but also with insights into their mission and programs. “That form is something that we control. That is our document. Nobody sees it until we review it, understand it, and know what the implications are,” he said. The IRS allows any number of pages of supplemental information. 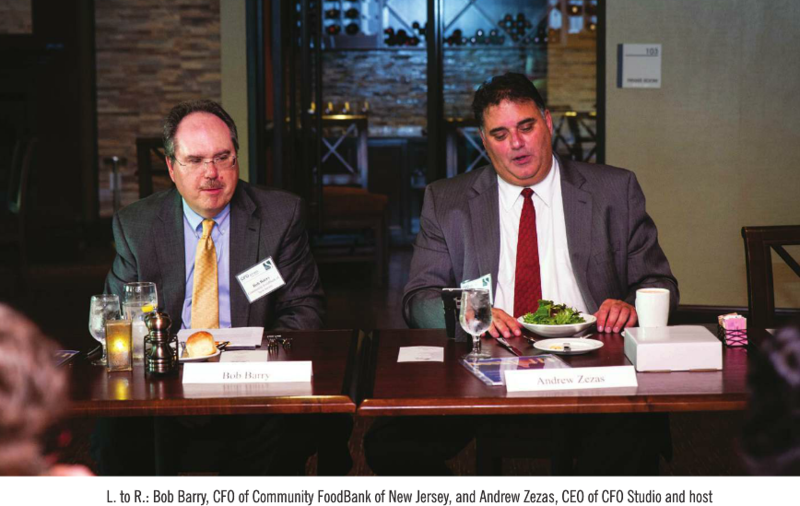 Mr. Barry said that the FoodBank’s 2014 Form 990 supplement ran to 127 pages. Net excess is a potential difficulty for William Curnan, Chief Operating Officer for Ewing, NJ–based Advancing Opportunities, which provides services to individuals with disabilities. He said that when he files the Form 990, he adds an MD&A (management discussion and analysis) letter to explain that the organization’s mission involves building residences so that people with disabilities can live where they choose. He needs to explain this because the housing that Advancing Opportunities builds under the government’s Olmstead grants program looks on paper to be an asset. However, “I’m never going to sell it. I’m never going to leverage it. It’s deed restricted. I can’t do anything with it, but on paper, it’s a [large] asset,” said Mr. Curnan. “Because they believe in the mission, obviously,” said Mr. Balzano. GuideStar and Charity Navigator look at the ratio of money that goes to General and Administrative (G&A) expense versus money spent on programs. According to Mr. Barry, no more than 12 percent should go to G&A. Also, Charity Navigator “looks at your development costs as a function of how it relates to money raised,” he said. The salary of the tax-exempt organization’s CEO must be reported on the Form 990, and becomes public knowledge quickly. The form was revised in 2008 to require such organizations to report on the process of determining compensation. “Whether the [compensation committee is] making an adjustment for a bonus or whatever, you have to document what the change is and why and what data was used,” said Mr. Barry. “We had some lean years during which the CEO did without pay, and I applaud her for doing that,” said Martin Mussman, Treasurer, New Jersey Coalition for Inclusive Education, which helps create neighborhood schools where children with disabilities and learning differences are welcomed as classmates and empowered to succeed. “So we negotiated a 10-year payout to make up for that.” But as a result, the Form 990 does not tell the whole story about that CEO’s compensation. “I think there’s that perception that we should be doing this out of the goodness of our hearts,” said Suzanne Schwanda, Senior Vice President of Finance and Administration, Special Olympics New Jersey, which provides year-round sports training and athletic competition for children and adults with intellectual disabilities.